Providing meaningful as well as fun educational activities for the children while you enjoy the service. Rosh Hashanah is the beginning of the Jewish year, and the anniversary of creation of man. At the brink of a new year it is appropriate to reminisce and evaluate the past year. It is time for a comprehensive analysis of our lives thus far, and some spiritual accounting to plan the year ahead. 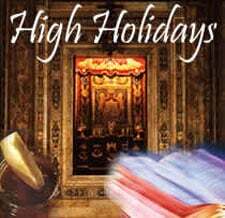 Please celebrate the High Holidays with us. At Chabad everyone is welcome, and it’s not just a cliché. May G‑d grant you and yours a joyful, prosperous and sweet New Year and may you be inscribed and sealed in the Book of Life. Chabad will never turn anyone away due to lack of funds.